Are you looking for a dependable moving company in Houston, Texas? Clear Choice Office Solutions has the expertise and equipment required to professionally tackle any and all of your office relocation needs. As with any business activity, planning and organization are basic components to a successful office move, and time means money. As a full service commercial moving company, Clear Choice Office Solutions is dedicated to providing economical, turn-key office relocation and storage services. We make every attempt to be one of Houston’s most reliable and affordable moving companies. When choosing moving companies, you gain peace of mind knowing your modular systems capital investment is protected with Clear Choice Office Solutions. Our office furniture movers have the experience and equipment needed for an efficient move that minimizes your business downtime and maximizes productivity during the office relocation. Check out our Office Relocation Checklist! Don’t let just any one to take the job of commercial moving. As long as you are not doing the job yourself, choose a company that you can trust and that having enough experience and reputation in the business. If you are planning on moving a few hundred computers, be careful at handling the goods and furniture. Sensitive electronic equipment and furniture may cause you loss of thousand dollars if not handled with care. Also be careful about protecting the data and important files from the cabinets and desks. Before going to pack up the furniture and other equipment, make sure anything important aren’t left behind inside the furniture. Specially, be careful about the liquids and chemicals. Make sure the furniture are locked properly and the company you have hired for commercial moving is taking care of the security of the furniture. 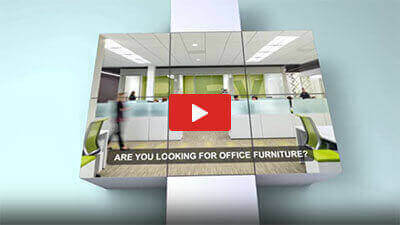 Buying office furniture have made you spent thousands of pennies and it is among your most expensive investments. When you plan to move to a new location, make sure that your office furniture will be transferred in good condition similar as they weren’t moved yet. Clear Choice Office Solutions is one of the most reliable moving companies which is guaranteed to safeguard your investment by moving your office furniture safely. Rest assured that no defects or loss of any item will occur while on the moving process. When moving, you will seek the help of a moving service company to help transfer all your valuables particularly office furniture. When trusting our service, you are guaranteed not to worry about delays or defects while on the process. You get a stressed free experience because our packers and movers have in-depth knowledge during packing to moving and understand well the risk involved. All you have to do is to pay for moving services which lessen your burden. Your company might own a truck and have personnel that could carry your office furniture to a new business location. Apparently, knowing the risk and heavy work involved during the moving process will make you decide to hire the services of a moving company. Moving means that you have to transfer all your furniture from lighter to the heaviest commodity. This includes packing, then carrying and moving. Our team of expert movers know how to manage the job easily and without compromise, thus making you save time and effort. We understand how difficult it is to move from one business location to another. Allow Clear Choice Office Solutions to help ease your burden by trusting our moving services. While we care about your moving needs, you can spend the rest of your time and effort with other concerns. We make sure that your valuables especially office furniture and equipment will be moved safe and sound. Time and efficient service also matters to our packers and movers, that is why we guarantee to cautiously move your commodities. Expert packers from Clear Choice Office Solutions assign codes and labels to easily identify the type of office furniture inside the box. Oftentimes, we assign colors or classify the grouping of office furniture based on sizes. This way, it is easy to assemble or relocate office furniture to its new position in the business place where you planned to move in. Well-recognized in the moving service industry for many years. Provides maximum moving services with expert team of packers and movers. Works in a friendly customer service. Pooled with efficient team of packers and movers. Have extra trucks and high end moving equipment for easy moving. Uncompromised moving services without delays, damage or loss of property. You achieve a peace of mind when trusting our name in moving service. We have survived in the industry for many years and we adhere to continuously deliver the best moving service per the increasing demands of our customers. We are one of Houston’ most reliable moving companies. Call us today for a free quote!